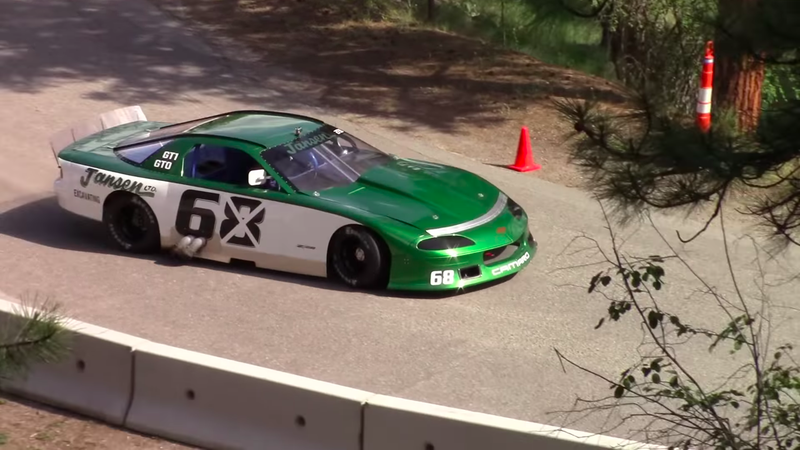 I’d say this is a 1995 Chevrolet Camaro Z/28, but I won’t go short of saying that it’s a tube frame race car. But that’s not important. What’s important is that it has a 600 horsepower naturally-aspirated V8 and it goes extremely sideways. More than that, it’s also fast. This car ran the fifth fastest up this year’s Knox Mountain Hillclimb in British Columbia, up to the east of Vancouver. Controlled sliding indeed. Hats off to Mr. Jensen for this one.